Everybody wants to capture their memorable moments with the help of a camera but handling cameras correctly sometime become a tedious task because most of the cameras are not user friendly hence the output is not good enough. 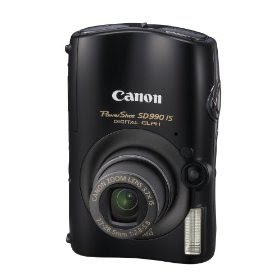 To resolve this problem canon has now introduced a user friendly camera, “Canon Powershot SD990IS”, which is so far the best compact digital camera of highest 14.7 MP resolution that produces superfine images and videos. Some of the high-tech features of this camera are highlighted below. when the button is pressed half way the green light flashes to indicate that the processor has managed the data of the shot and then pressing the shutter button fully the camera takes the picture according to the preset data. 2. Accurately adjusts the focusing faces: The processor is fast enough to automatically adjust the focusing faces specially when the self timer is ON. 3. Smartly detects and corrects red eye: Its smart processing sharply detects the red eye if and only if the red eye correction is selected. The menu of this option will then appear on the LCD and you can easily remove the red eye in your picture. 4. Intelligent contrast correction: Through this feature you can detect and correct the dark areas in an image without distorting the brightness of bright areas. This option is available in the main menu by the name of i-Contrast. Most prominent feature which makes it unique among the family of powershot camera is its resolution i.e, 14.7 Mega pixel which results in fine, smooth and clear image output. You can also adjust or minimize the resolution to five different levels available. Auto: Camera adjust all the setting by it self. Program: You can easily adjust or program the setting according to your requirement. Through this mode you may adjust brightness, flash, shot quality, resolution and many more. Manual Mode: This mode can be set when the mode dial is at P/M mode then by move the main dial to select manual shoot mode in which you can manually adjust the aperture value and shutter speed by selecting the TV option. Quick Shot: This mode allows you to take quick shot specially for moving object with accuracy and sharpness as you take the steady shot. Through this option you can create sixteen different scenes in your picture which you can select by moving the main dial. These modes include; portrait, foliage, snow, under water, night mode, fireworks, kids & pets, indoor, aquarium, sunset, beach, ISO 3200, color accent, color swap, digital macro and stitch assist. 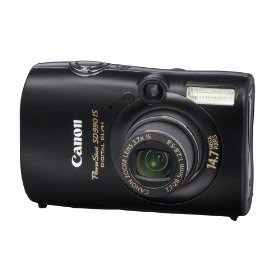 Besides these outstanding features the camera is also designed with number of other remarkable features which you can only be examined when you experience this great powershot camera. When you are going to buy this digital camera online you will go through some details of its accessories which are provided with or available separately. For your convenience here I have provided some details of its accessories so that you don’t need to search more if you want to buy it you can easily buy digital camera online. Supplied memory of 32 MB along with two different memory of your own choice either 2GB or 8GB. 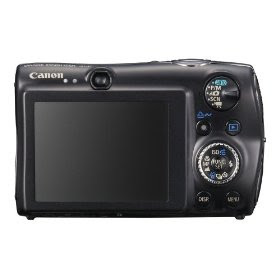 This Canon SD990IS 14.7 MP digital camera is easily available at Amazon for online purchase and delivery. To see the updated price, Click here.